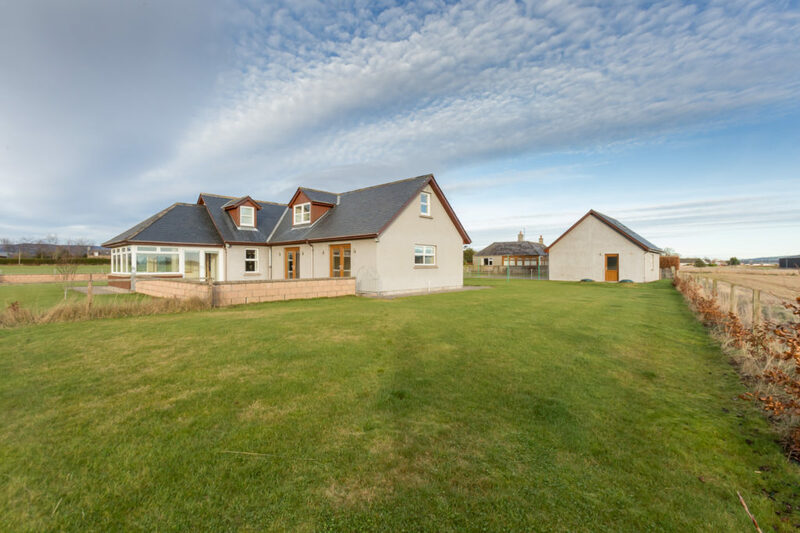 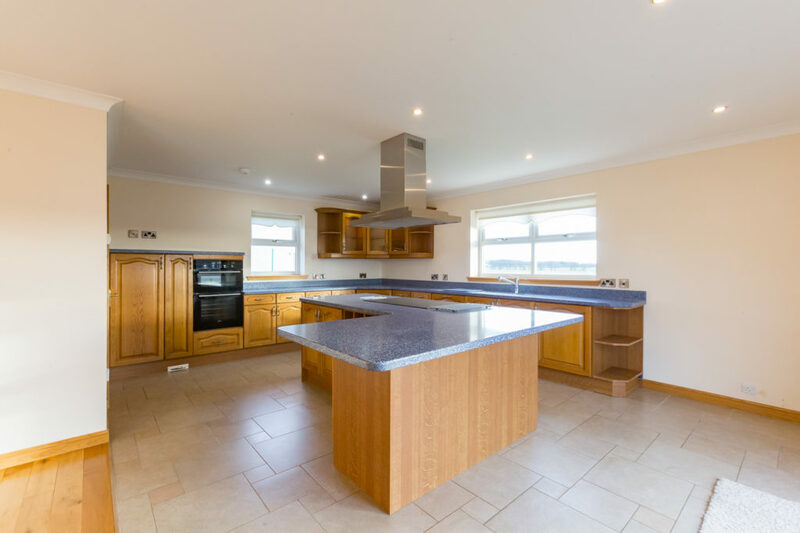 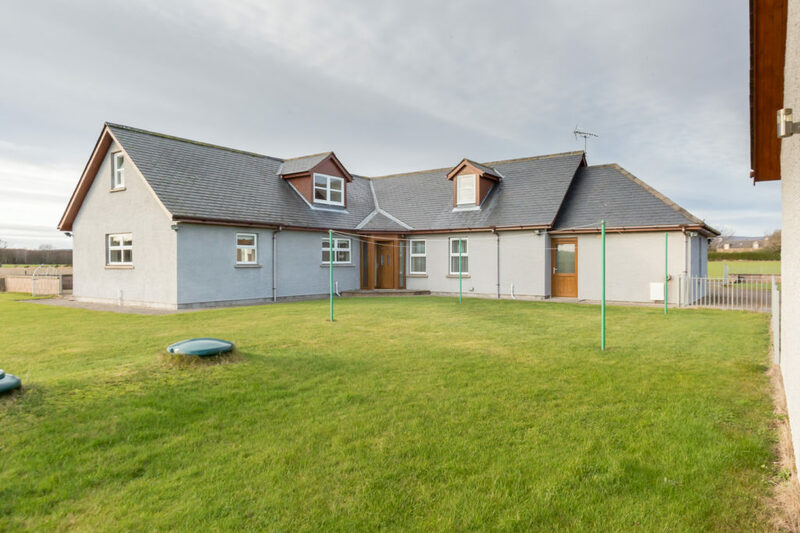 Thoughtfully and tastefully designed to take full advantage of its surroundings and country location, this superior 4 Bedroom family home provides an ideal setting for today’s modern family. 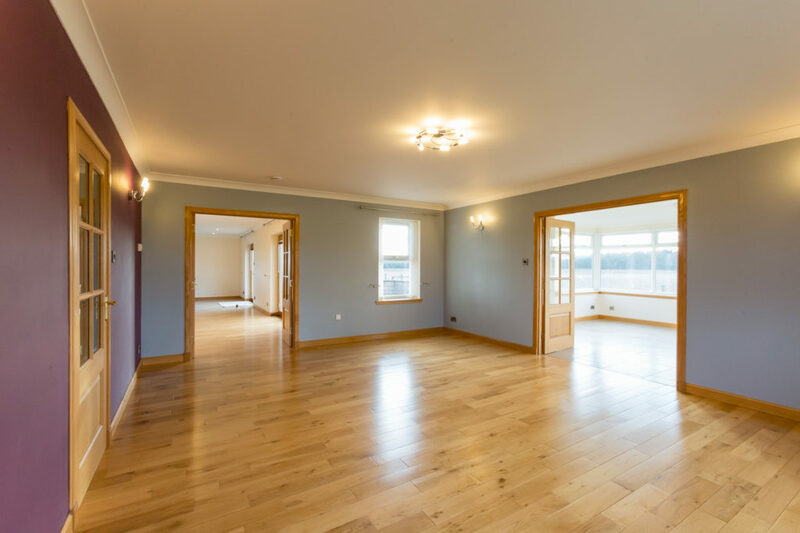 Recently completed, this two storey home offers luxurious and modern features with oil central and underfloor heating, a centralised vacuum cleaning system and oak finishings throughout. 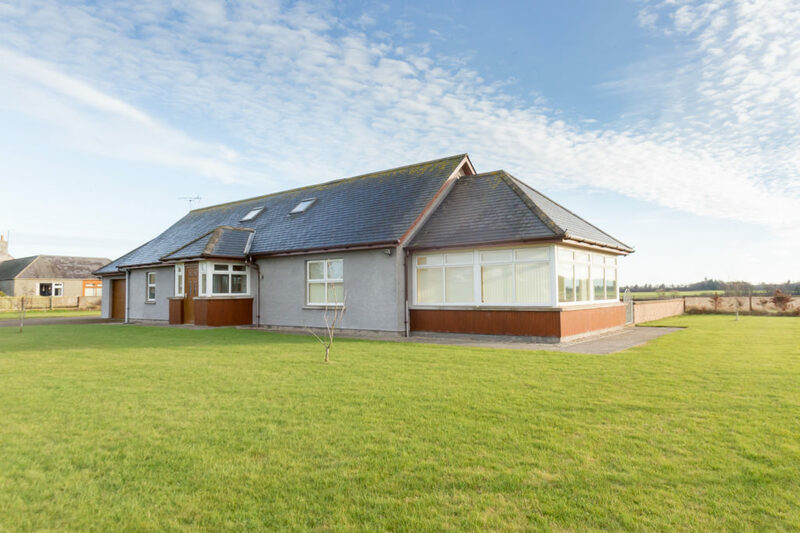 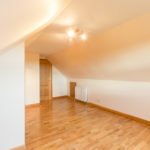 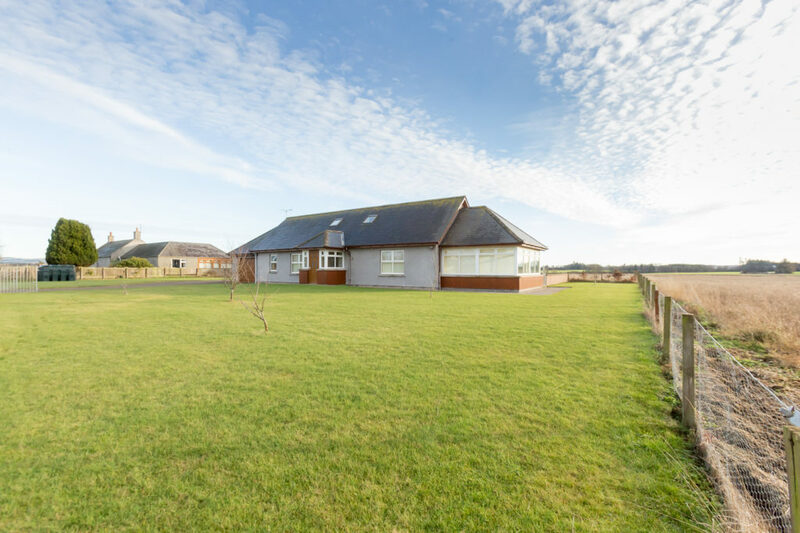 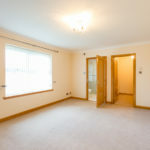 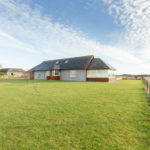 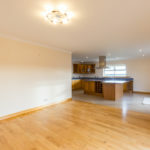 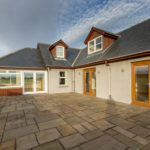 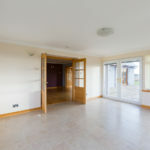 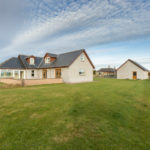 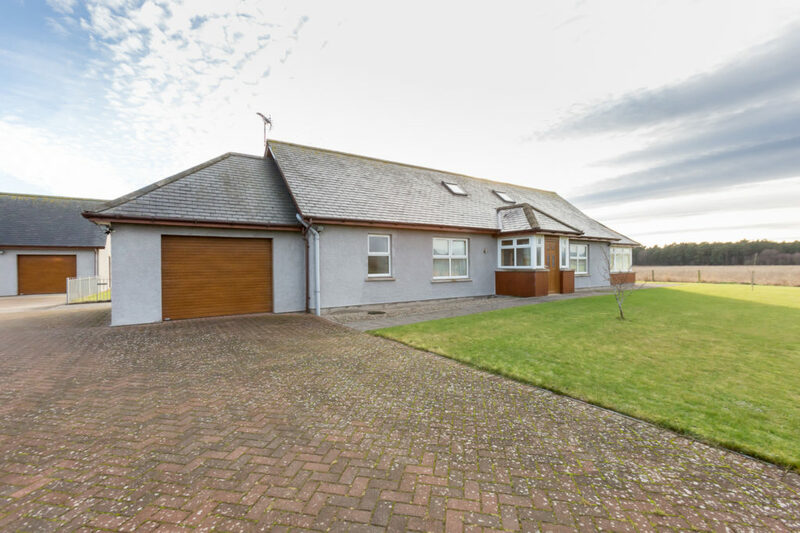 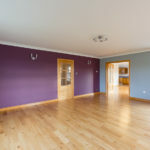 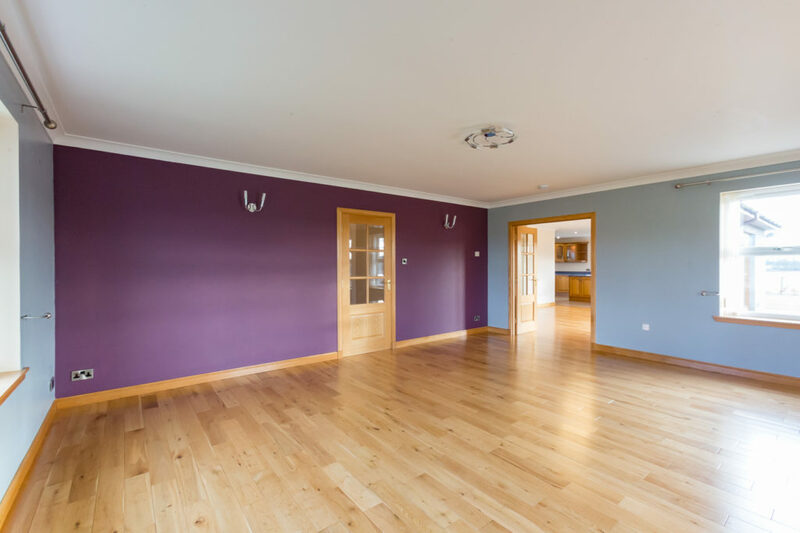 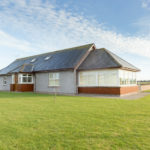 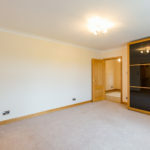 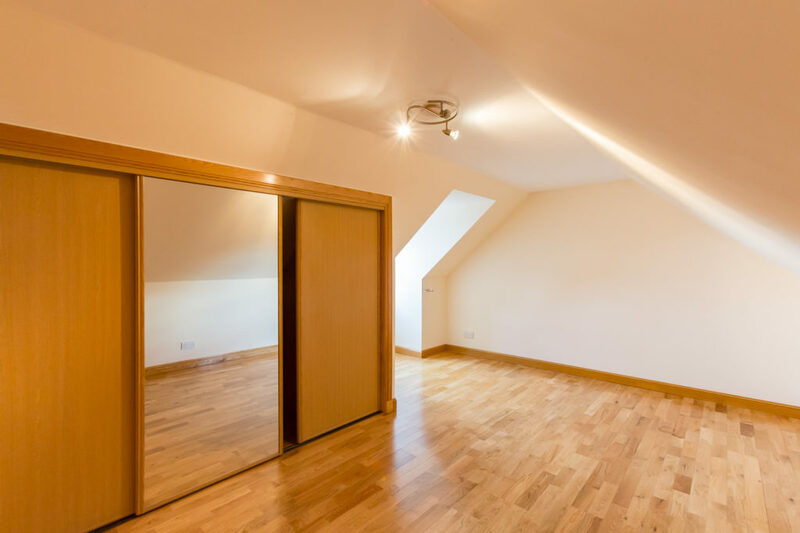 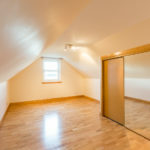 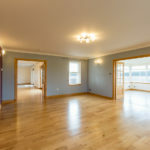 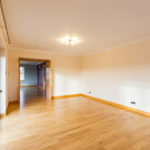 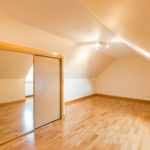 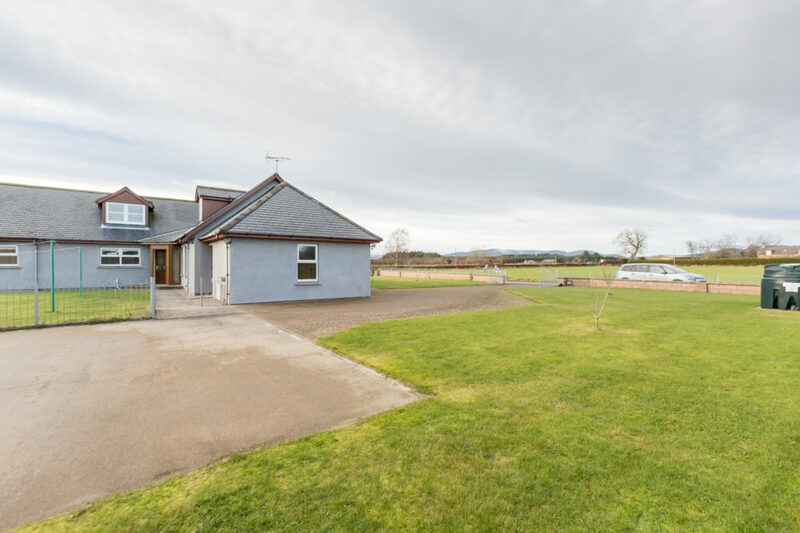 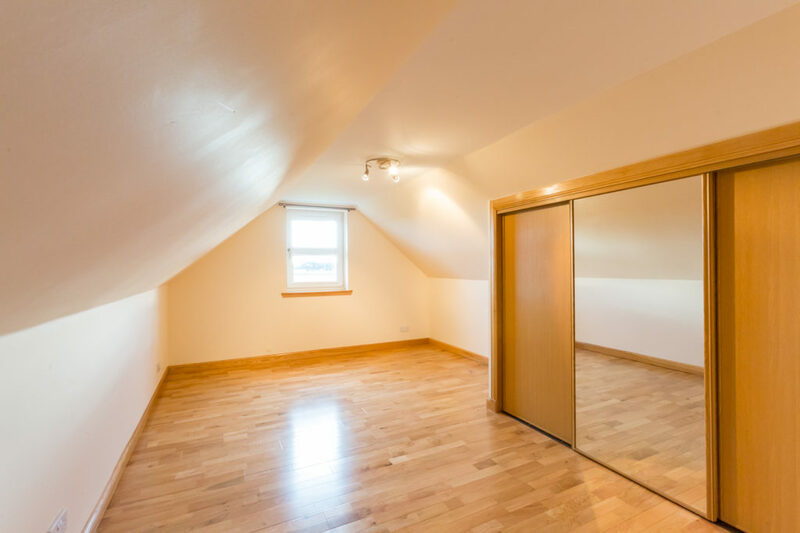 The location is ideal for commuting to the cities of Aberdeen and Dundee via the nearby A90 dual carriageway, while other nearby towns and villages include Laurencekirk, Montrose, Brechin and Forfar all provide a range of services and recreational facilities. 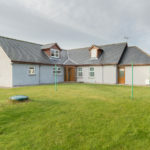 Schooling at primary level can be found within the village whilst schooling at secondary level is found at Laurencekirk. 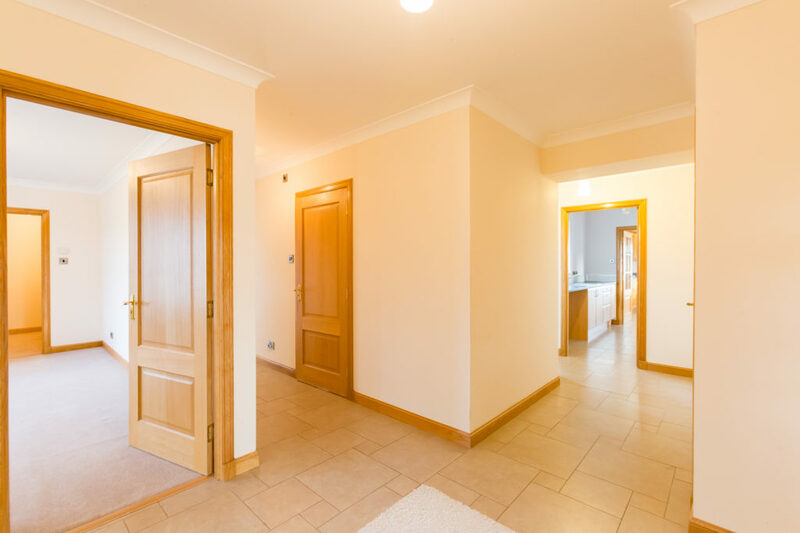 Entry is via the front door into a vestibule with access from here into the welcoming main hallway. 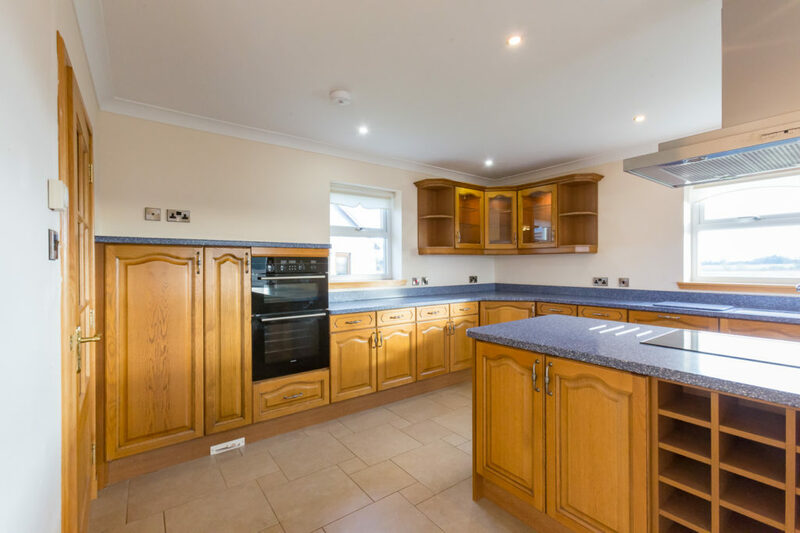 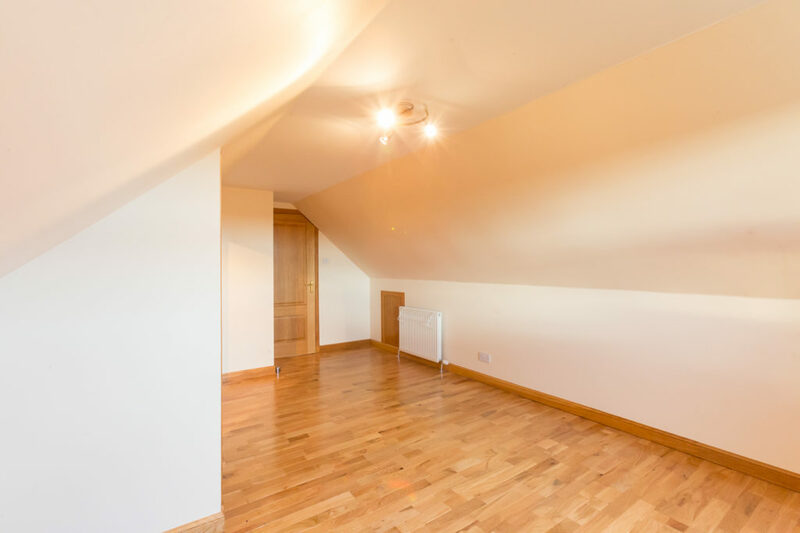 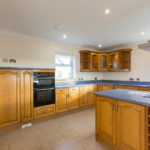 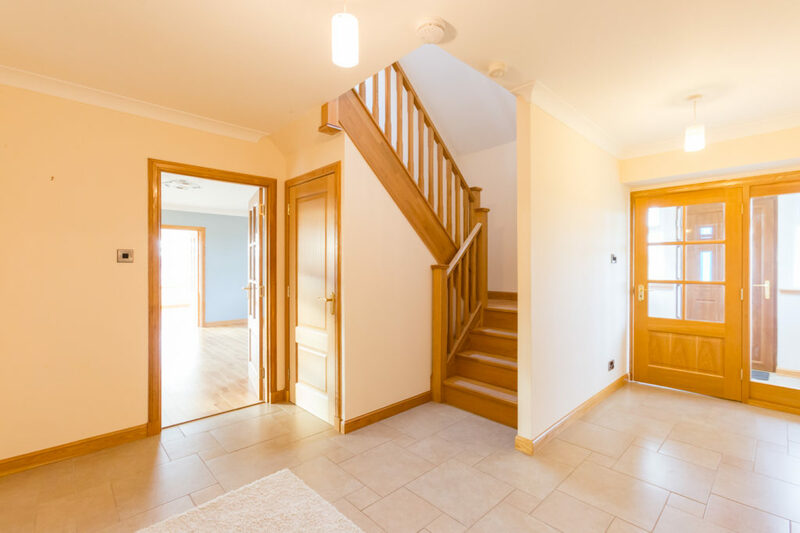 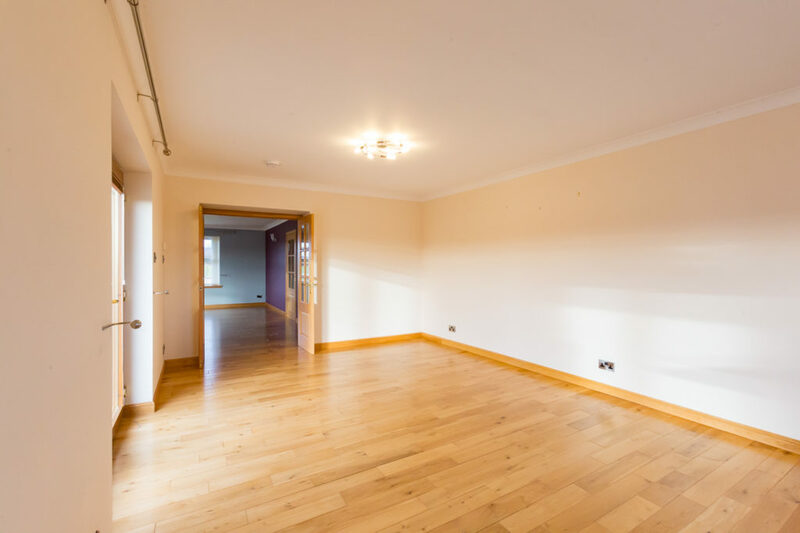 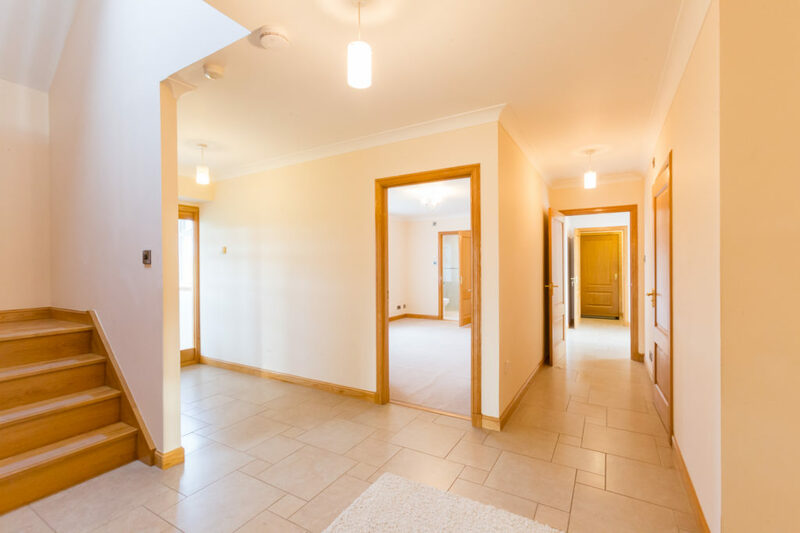 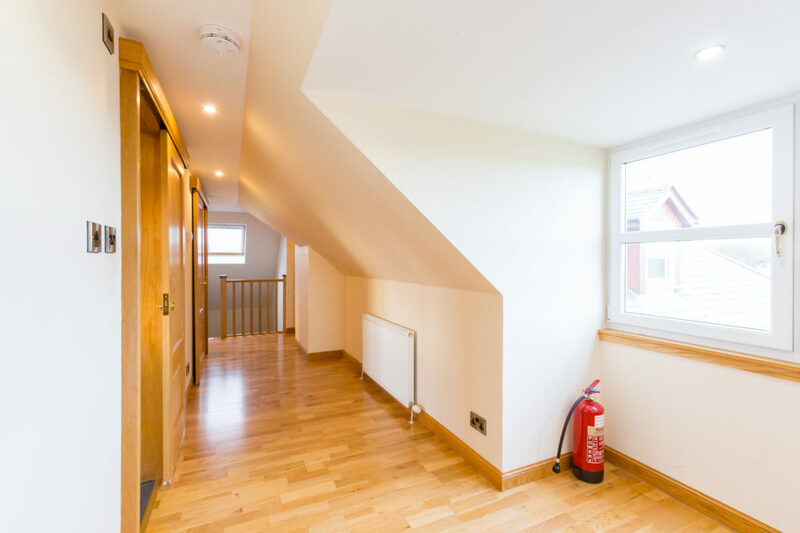 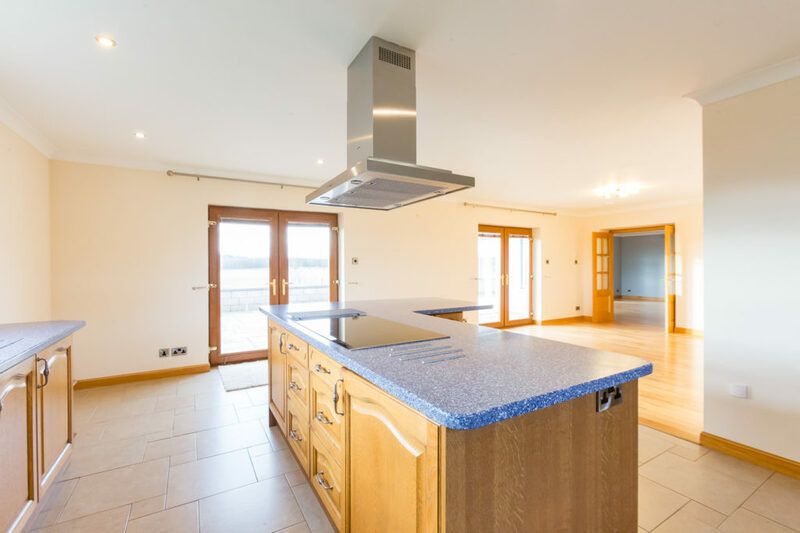 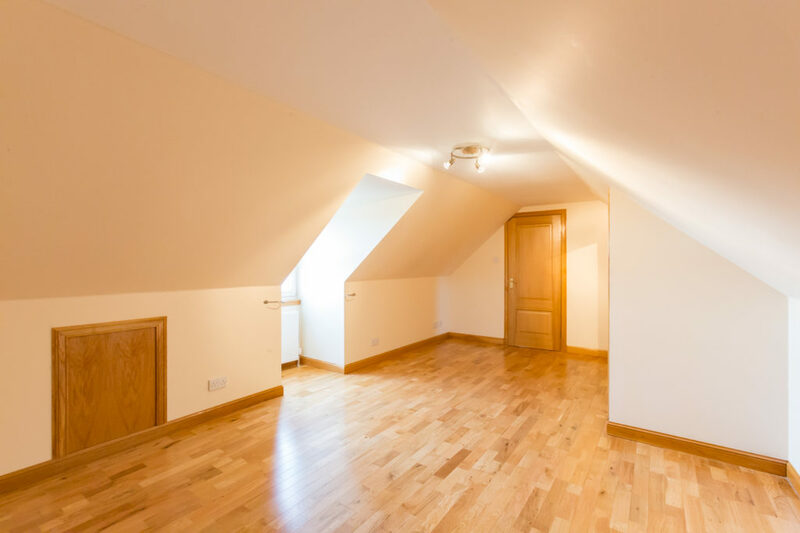 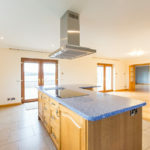 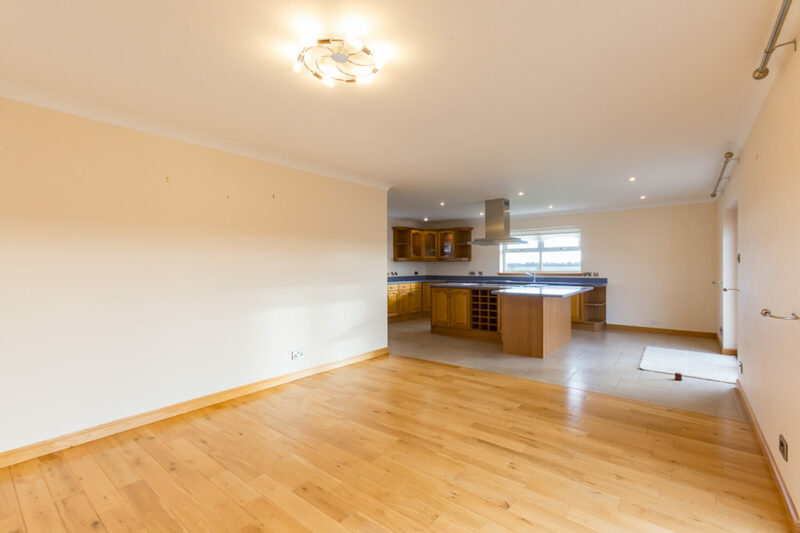 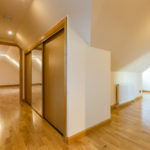 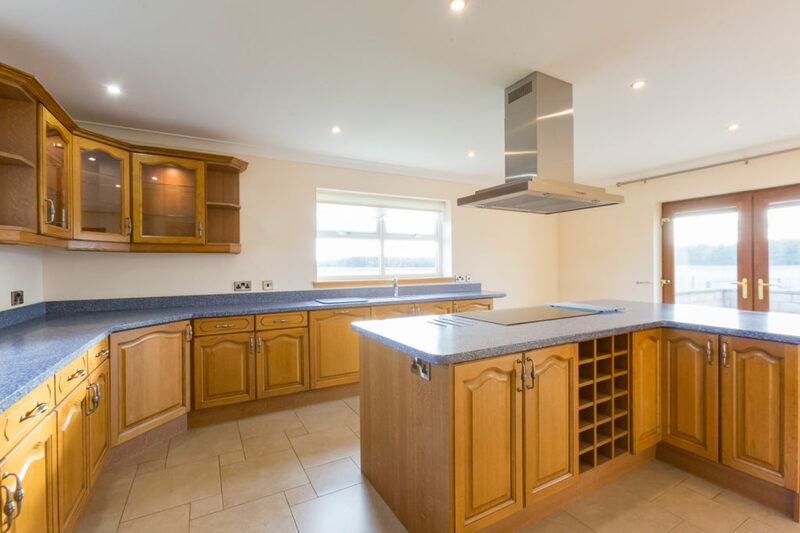 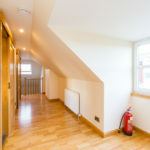 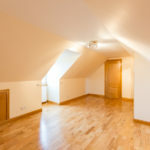 Throughout the ground floor, the property has underfloor oil fired heating finished with oak and tiled flooring, an impressive oak staircase, doors, surrounds and finishings. 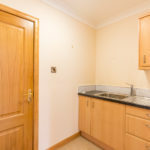 There are two storage cupboards, one housing the heating controls. 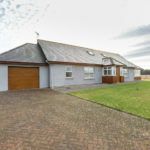 Designed for easy family living and entertainment the property boasts generous size living accommodation with a spacious lounge with double door access into both the delightful sunroom and dining/family/kitchen, all of which have patio doors leading out onto a walled patio area and all providing impressive open country views. 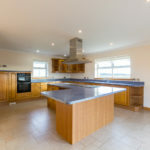 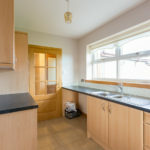 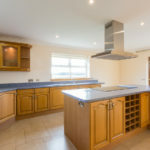 The open plan kitchen also gives access into the garden and is ideal for today’s modern family with an abundance of wall and base units, with central island, and hard wearing Corian work surfaces incorporating a 1½ sink with mixer tap, electric double oven and induction hob with stainless steel extractor hood above. 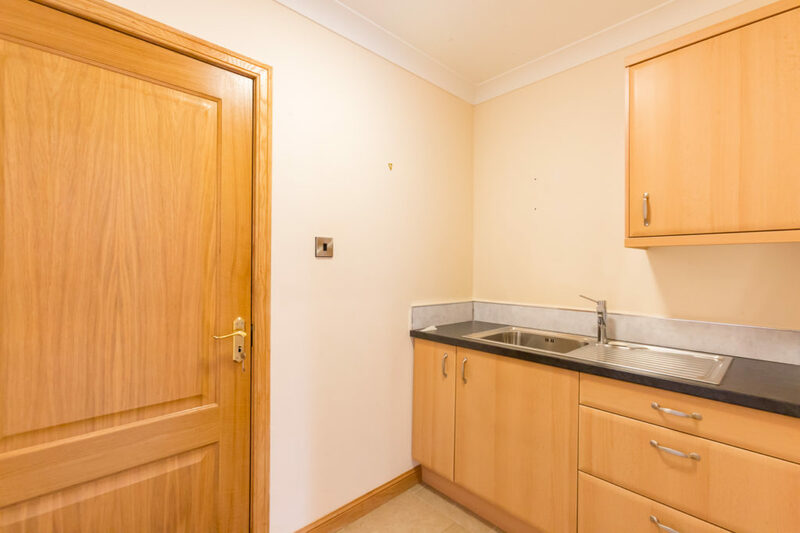 There is also an integrated fridge, dishwasher and there is plumbed space for an American style fridge/freezer. 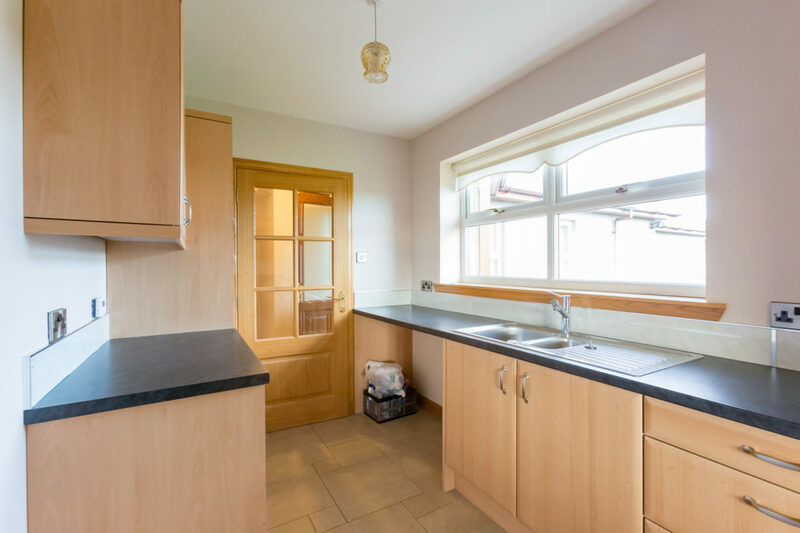 A glass panel door leads from the kitchen into the utility which overlooks the rear garden. 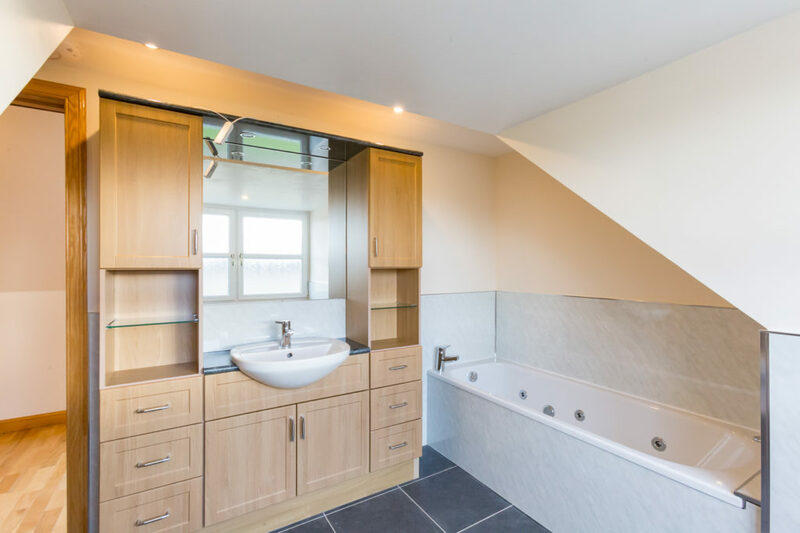 It is fitted to base and wall units with coordinating work surfaces incorporating a stainless steel sink with mixer tap, plumbed space for an automatic washing machine and space for a drier or further appliances. 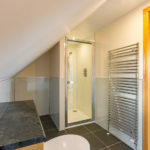 From here there is access into the hallway where a rear door giving access into the garden and onto the drying area. 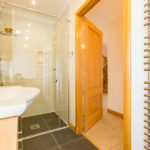 There is a conveniently located wet room which has a vanity to the wash hand basin and wc, a walk-in wet walled shower area with power shower, tiled flooring, heated towel rail, spot lights and an expel air. 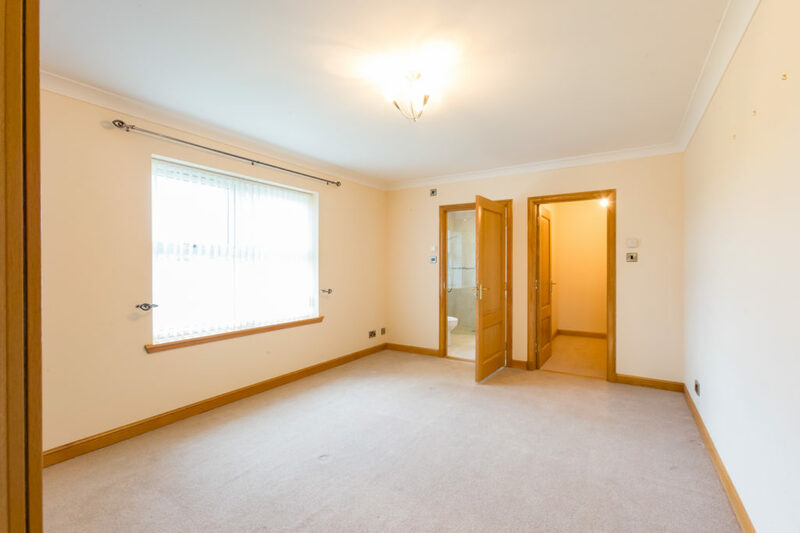 There is also a study/home office with rear facing window which overlooks the garden. 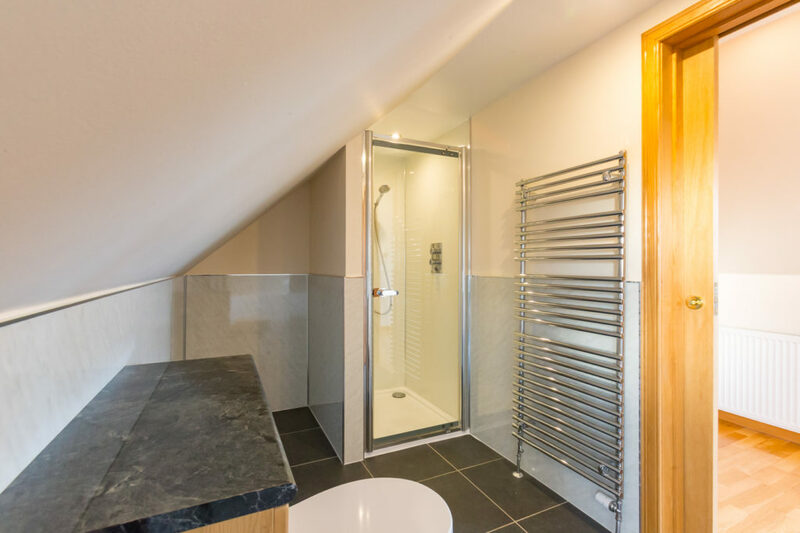 Adjoining this is an additional utility area with base and wall units incorporating a stainless steel sink. 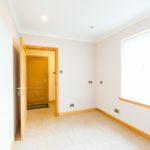 From here there is access into the integrated garage. 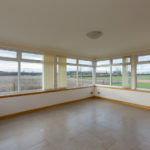 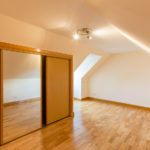 The master bedroom suite with dressing room and en-suite is also located on the ground floor and has a front facing window giving open country views. 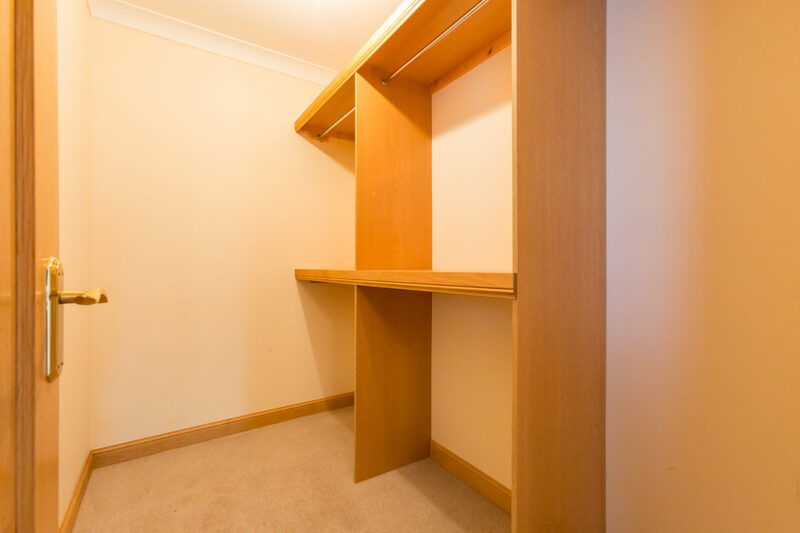 The dressing room has a shelved and hanging storage area with overhead storage and light. 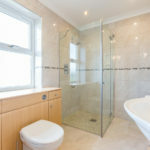 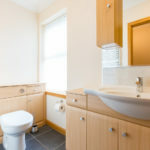 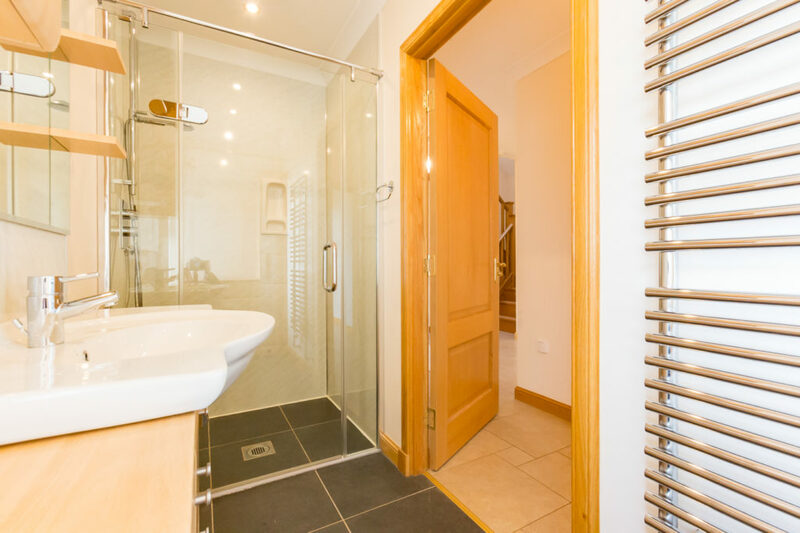 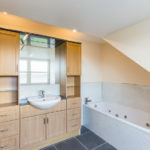 The en-suite wet room has a front facing window, and is fitted with a vanity to the wash hand basin and wc, a power shower, heated towel rail, spotlights, Expelair and mirror with light and shaver point to vanity area. 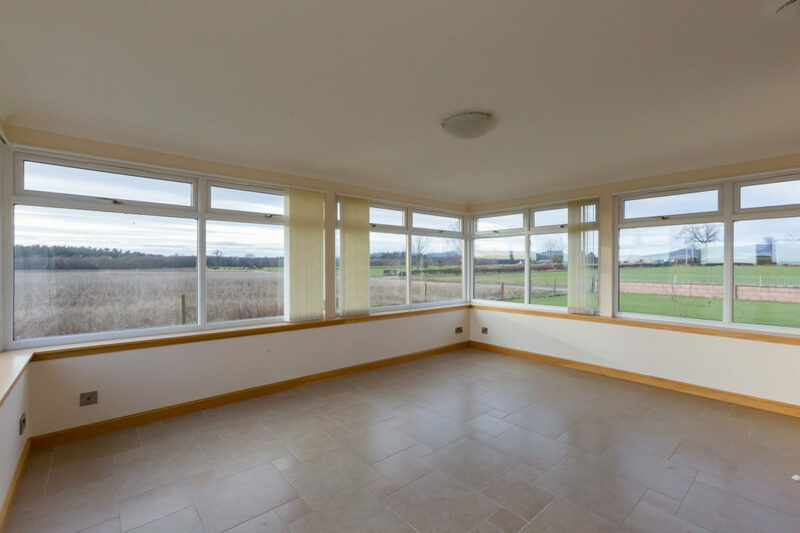 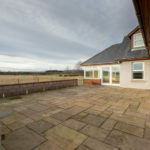 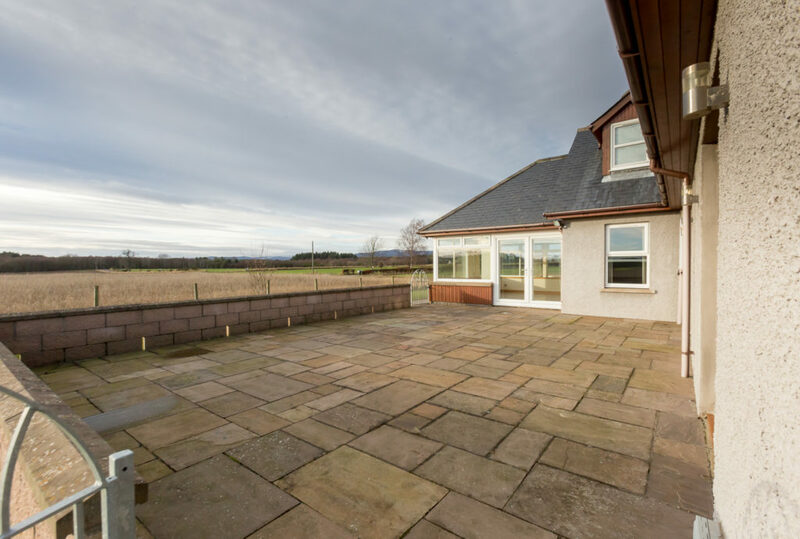 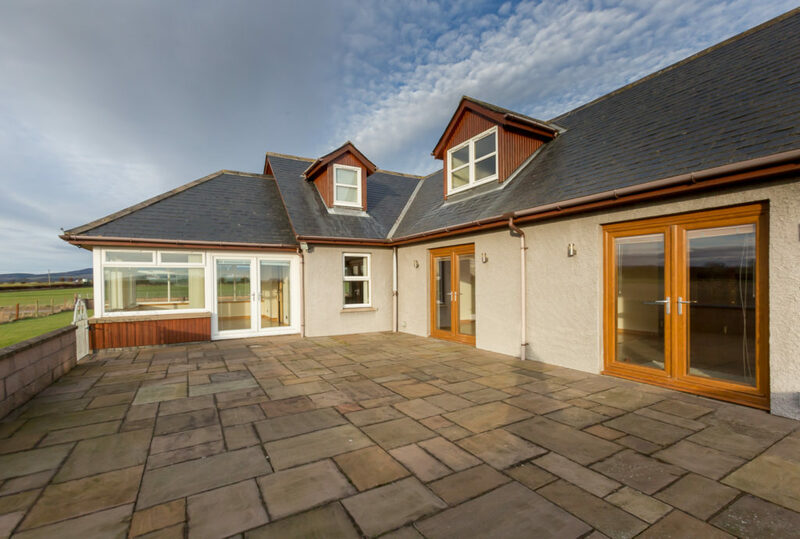 Upstairs there is a front facing Velux window with views over the surrounding countryside, farmland and to the Angus Glens beyond. 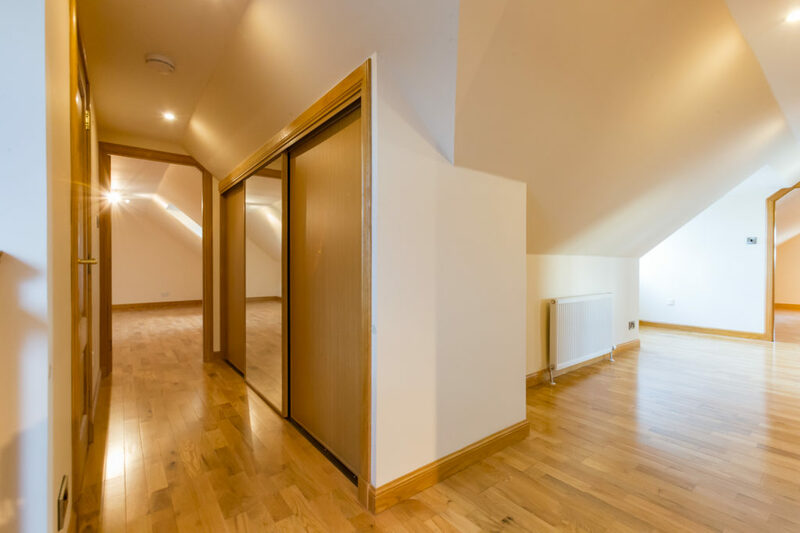 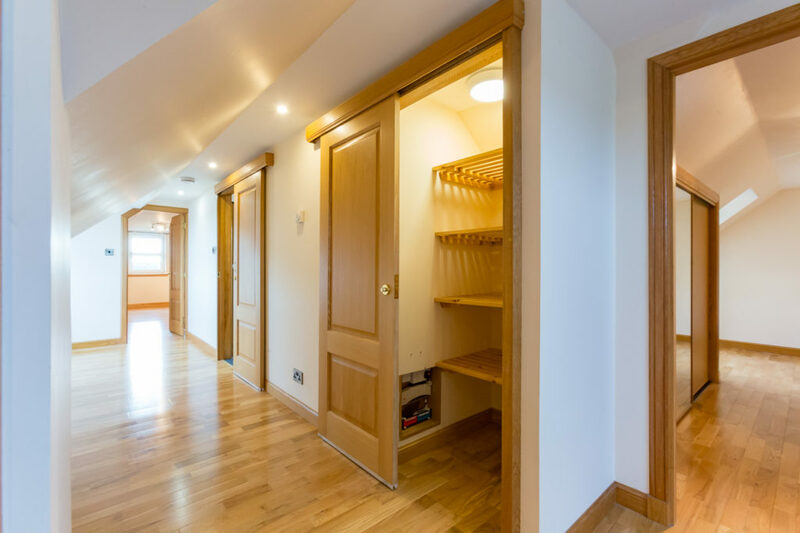 The upper floor bedrooms, study and hallway have wooden flooring and also ample storage with a shelved linen cupboard and a triple shelved and hanging storage cupboard with sliding doors with central mirrored. 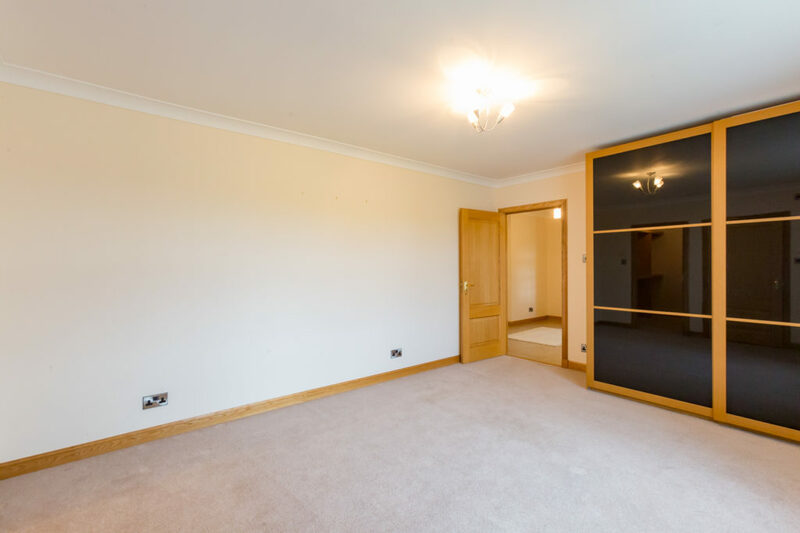 Bedroom 2 has a rear facing window, a triple shelved and hanging wardrobes with oak effect and mirrored doors and a radiator. 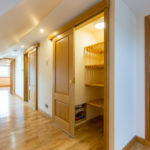 Bedroom 3 is also rear facing and has a triple shelved and hanging wardrobe with sliding oak effect and mirrored door and access point into eaves. 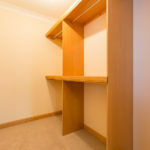 Bedroom 4 is also rear facing and has a triple shelved and hanging wardrobe with sliding oak effect and mirrored door. 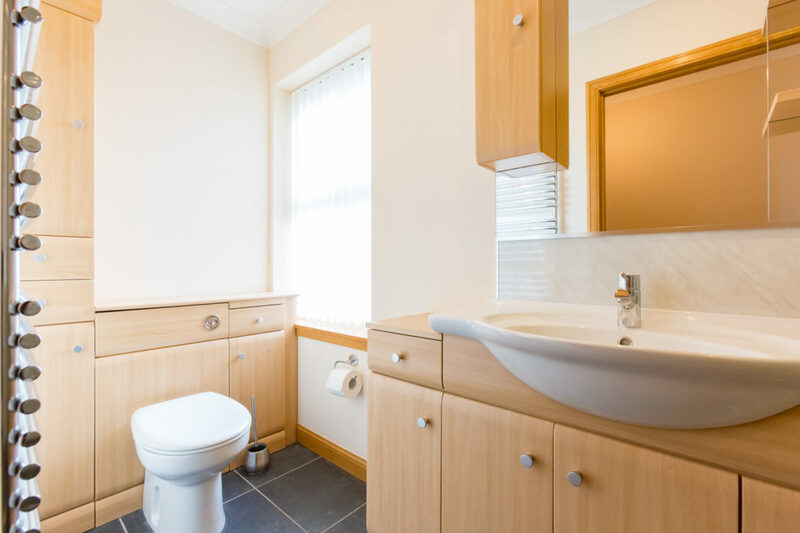 The family bathroom is side facing with a three piece white suite, vanity to the wash hand basin and wc, a Jacuzzi bath with mixer tap and a separate shower cubicle housing a power shower. 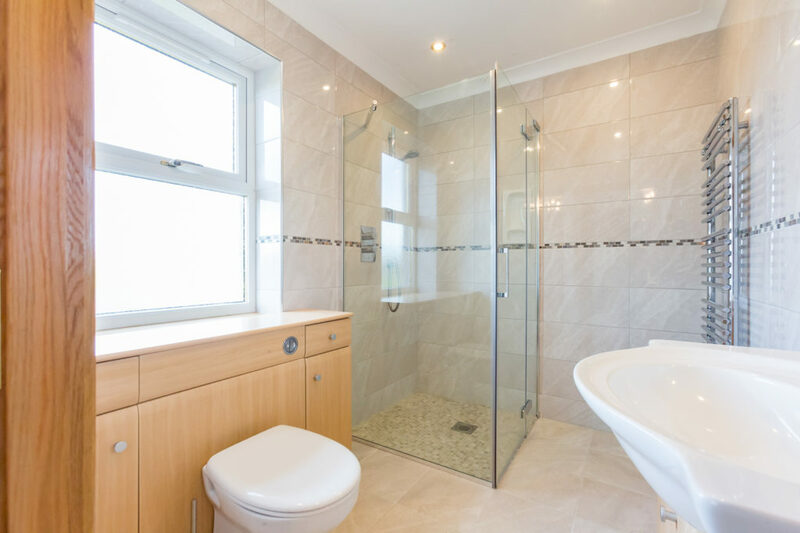 The bathroom is wet walled to dado height, has spotlights, an Expelair, tiled flooring and heated towel rail. 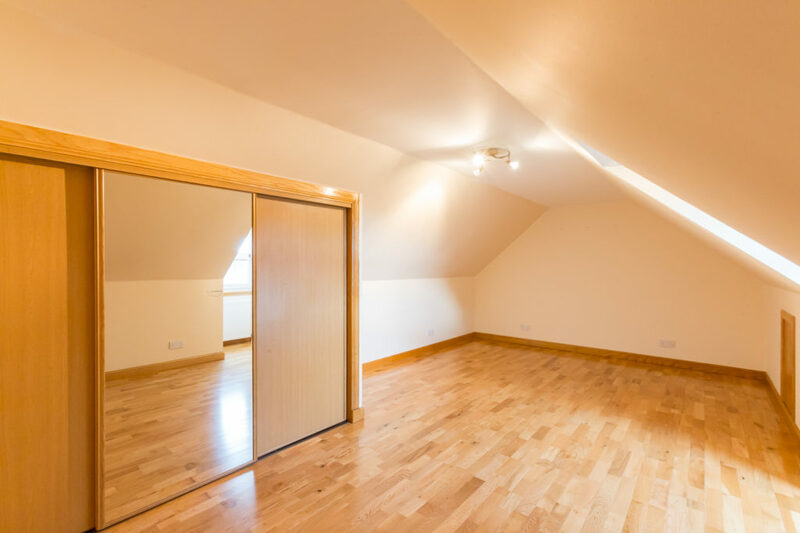 There is also an additional study/nursery which has a front facing with a Velux window. 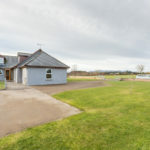 Set in approximately 0.6 of an acre, the property is surrounded by enclosed garden grounds which are mainly laid to lawn with a patio area, enclosed drying area and outside power points. 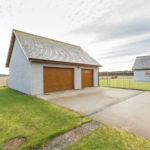 A gated lock-block driveway leads to the integrated garage and an additional concrete driveway and parking area leads to the detached double garage beyond. 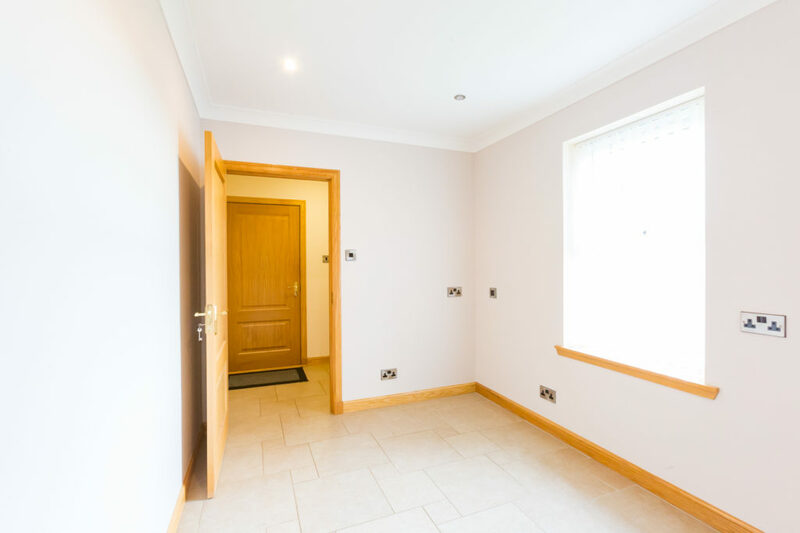 The integrated garage has an electric roller door, a side facing window, a centralised vacuum cleaning system, the oil central heating boiler and also gives access into an additional loft space. 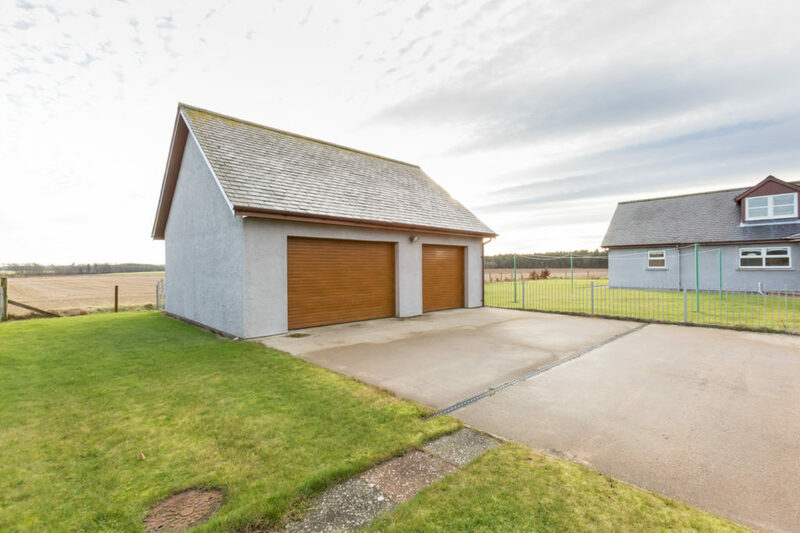 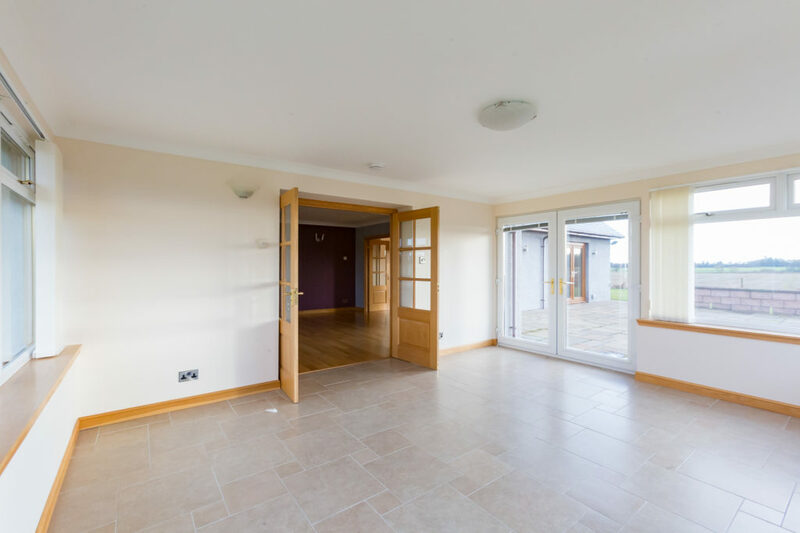 The detached triple garage has two electric roller doors and side door, ample power points, a water tap, and a Ramsay style ladder giving access into a floored loft.